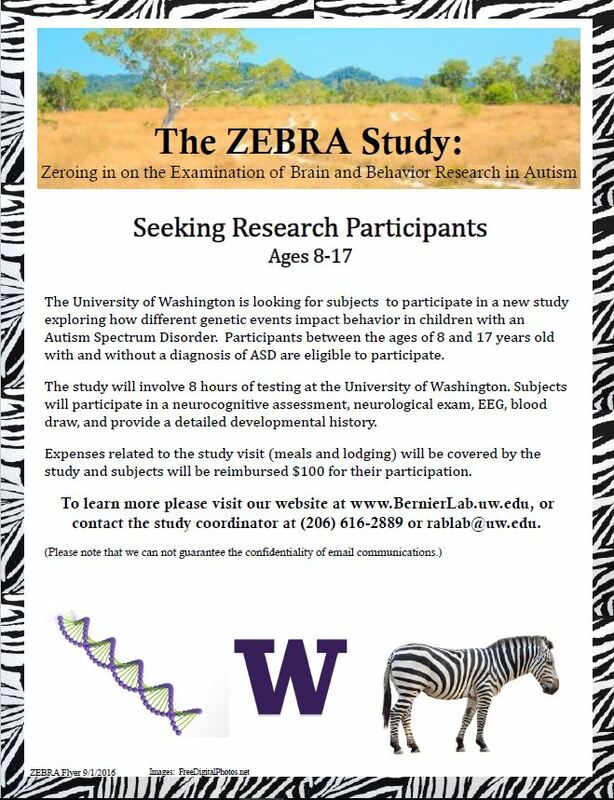 The University of Washington is looking for subjects to participate in a new study exploring how different genetic events impact behavior in children with an Autism Spectrum Disorder. Participants between the ages of 8 and 17 years old with and without a diagnosis of ASD are eligible to participate. The study will involve 8 hours of testing at the University of Washington. Subjects will participate in a neurocognitive assessment, neurological exam, EEG, blood draw, and provide a detailed developmental history. Expenses related to the study visit (meals and lodging) will be covered by the study and subjects will be reimbursed $100 for their participation.